BMW M Division devotee. Enthusiastic-but-terrible off-roader. 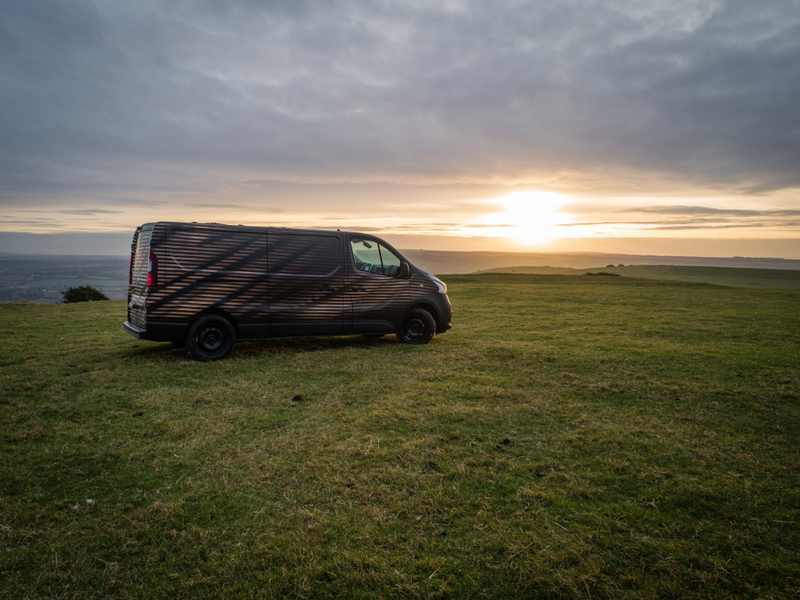 Nissan’s anonymous NV300 commercial vehicle isn’t the most obvious candidate for showcasing the brand’s latest eco-minded innovation, the NV300 Concept-van. And the decision is more curious still, when you consider it already offers a guilt-free zero-emission variant in the ENV200. But what Nissan has done with their latest concept creation – besides give it a bizarre corrugated cardboard paintjob – you couldn’t do in the dinky ENV200. They’ve converted the rear load space into a precision-fit workshop. The fruits of a collaboration between Nissan and Brit design outfit Studio Hardie, the back of the Tardis-like NV300 Concept hides an integrated touch-screen computer, LED lighting, a rail-mounted swivel seat and an interior vibe that’s half Ikea, half garden shed. Unfortunately Nissan isn’t offering the conversion to budding mobile carpenters. However, the NV300 Concept also showcases its new portable battery, the Nissan Energy ROAM, which has been made using the recycled batteries from the brand’s leading Leaf EV. 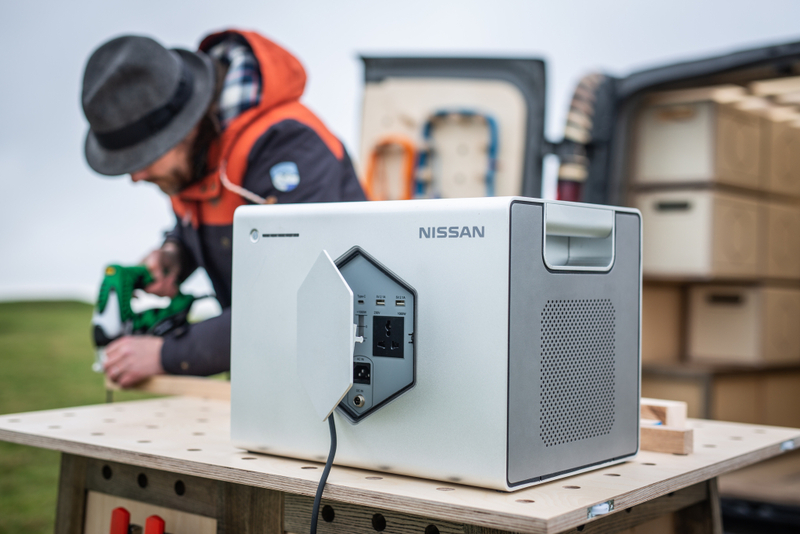 Despite resembling something like the next Xbox, Nissan claims its go-anywhere battery pack is completely weatherproof, has a storage capacity of 700Wh and max power of 1kW – enough to cope with power tools. Perfect if you want to break free from your garden shed and head to a more inspiring locale. You’ll be able to stay a while, too, as the ROAM can be charged by a solar panel accessory, here seen integrated into the NV300’s roof. Check out the video below as the designers take you through their intricate workspace. 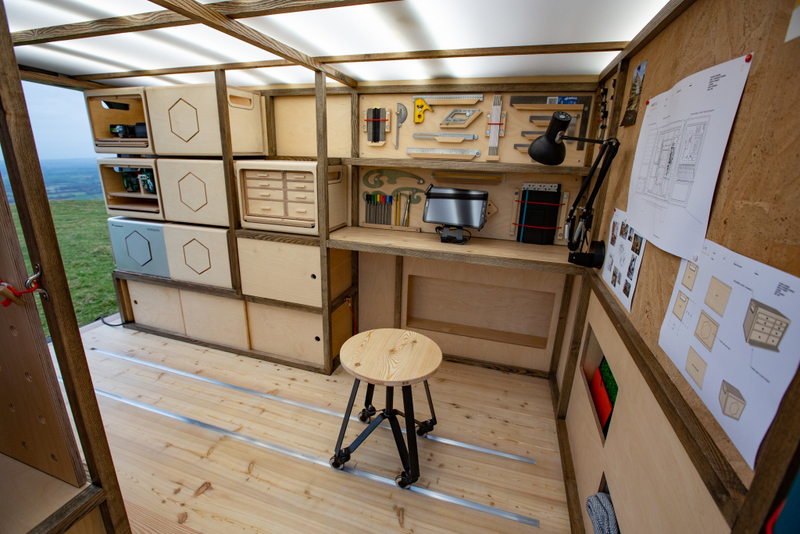 If you’re the sort of person who’d rather not take your work with you, fear not – Nissan is getting ready to a camper can, which will be kitted out with the same battery tech.